You can’t drink Patio diet cola anymore and you probably shouldn’t smoke in your office, but you can still live the Mad Men lifestyle with a mad men suit. Henry Herbert Tailors, as bespoke suit makers, are able to re-create the craft and style of the Don Draper mad men suit, made from gray sharkskin fabric, two-button jacket with narrow lapels, diagonal pockets and side vents. Hungry to find out more? Watch Henry Herbert’s video on what makes the classic Mad Men suit below. To make your Mad Men suit with a Henry Herbert Tailor, simply book an appointment. 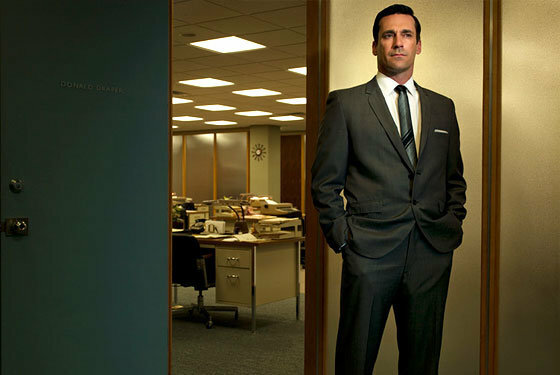 The Mad Men Suit - be as Dapper as Draper.... - Bespoke Suits By Savile Row Tailors. You can’t drink Patio diet cola anymore and you probably shouldn’t smoke in your office, but you can still live the Mad Men lifestyle with a mad men suit.